Custer started second, finished first and earned 10 bonus points. After a lap-19 caution, Custer took the lead. He held the Haas Automation Ford in the lead until the stage concluded. He pitted for four tires, fuel and adjustments at the end of the stage. Custer started first, finished second and earned nine bonus points. Custer lost the lead in the opening laps, but made the pass to the front of the field on lap 82. He held the lead until the closing laps of Stage 2 and just missed his second stage win of the race. He pitted at the end of the stage for four fresh tires, fuel and chassis adjustments. Custer started first, finished ninth. 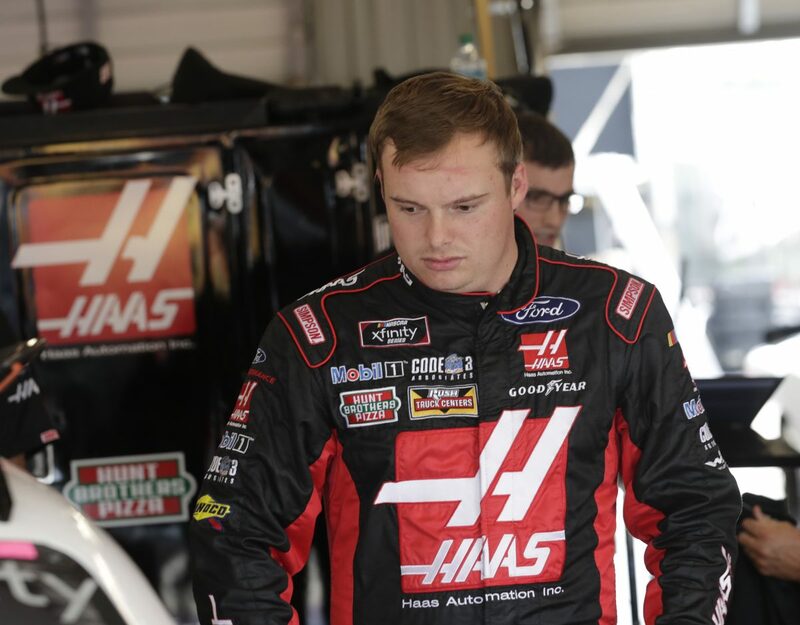 Custer piloted the Haas Automation Ford in the lead until lap 154. After pitting under green on lap 198, Custer made contact with the No. 55 car but steered his car back to second place. Custer pitted during a lap-240 caution for four fresh tires and fuel. He fell back to 11th place. During a final restart after a red-flag caution, Custer held the Haas Automation Ford inside the top-10. This marks Custer’s 15th top-10 of the season and third at Iowa. Custer earned 19 bonus points in the U.S. Cellular 250 at Iowa. Custer led three times for a total of 104 laps. Six cautions slowed the race for 41 laps. Only 12 of the 40 drivers finished on the lead lap. Christopher Bell won the U.S. Cellular 250 to score his fifth career Xfinity Series victory, fourth of the season and first at Iowa. His margin of victory over second-place Justin Allgaier was 1.398 of a second.